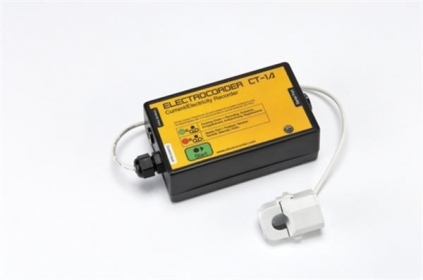 The CT-1A- models are designed for small loads, 0.1A to 100A if you require lower inputs, please let us know. The CT (current transformer), fits around 13mm cables. A larger CT accommodates 17.5mm x 22.5mm oval cables. The advantage of the Electrocorder products over most others is that our data loggers constantly sample information (recording the Min, Max and Average) over the set period, many other products only take 'snap shots' of what is going on and can miss 99.9% of the data that is critical to your analysis. For current ranges of 3A to 300A we recommend the use of the CT-3A model.